Dr. Bridget Brahney, a Kenner native, graduated with honors earning a degree in Biology from Loyola University New Orleans. During her time as an undergraduate, Dr. Brahney received a fellowship from the American Society of Microbiology and was a contributing author to an article in the American Journal of Tropical Medicine. Recipient of a partial scholarship, she moved to New York City. Dr. Brahney is a proud graduate of top ranked New York University College of Dentistry receiving a Doctorate of Dental Surgery in 2003. Dr. Brahney and her staff are absolutely committed to providing the highest quality care in a relaxed and caring environment. Dr. Brahney understands the value of continuing education. She attends classes regularly to stay abreast of the most current techniques and concepts in dentistry. Dr. Brahney is a member of the prestigious F. Harold Wirth Study Club. A member of several professional organizations, Dr. Brahney has served as a host at ADA and NODA annual meetings. Dr. Brahney has been recognized for excellence over the years and was most recently chosen as a Patient's choice winner by Opencare in 2015. 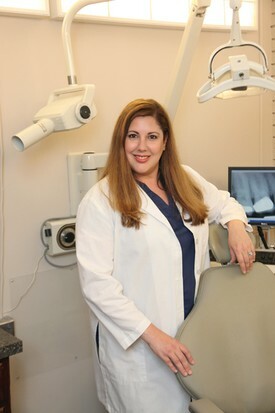 Dr. Brahney was selected by a vote of her peers to be included in the database of topDentists, for which she was featured in the June 2016, June 2017, and June 2018 issues of New Orleans Magazine. Dr. Brahney was the recipient of the "Best of the 504" awards for Best Dentist and runner up for Pediatric Dentist in 2016. She was also the recipient of Pint Sized NOLA "Best Dentist of the 504" in October 2018. Giving back is very important to Dr. Brahney. She is on the executive board for Lindy's Place, a residence for homeless women, in addition to supporting various other charitable organizations. When she goes home, Dr. Brahney delights in being a wife and mother and spends an inordinate amount of time cooking for friends and family. Dr. Brahney resides in Kenner with her husband and young daughter.